This listing is for one sheet of Abaca Tissue 75cm x 50cm (29" x 19"). This sheet has been hand dyed by Oliver Twists in subtle variegated colours and it is semi-transparent. Colour Lemon, Grey, Peach and many subtle tones in between. 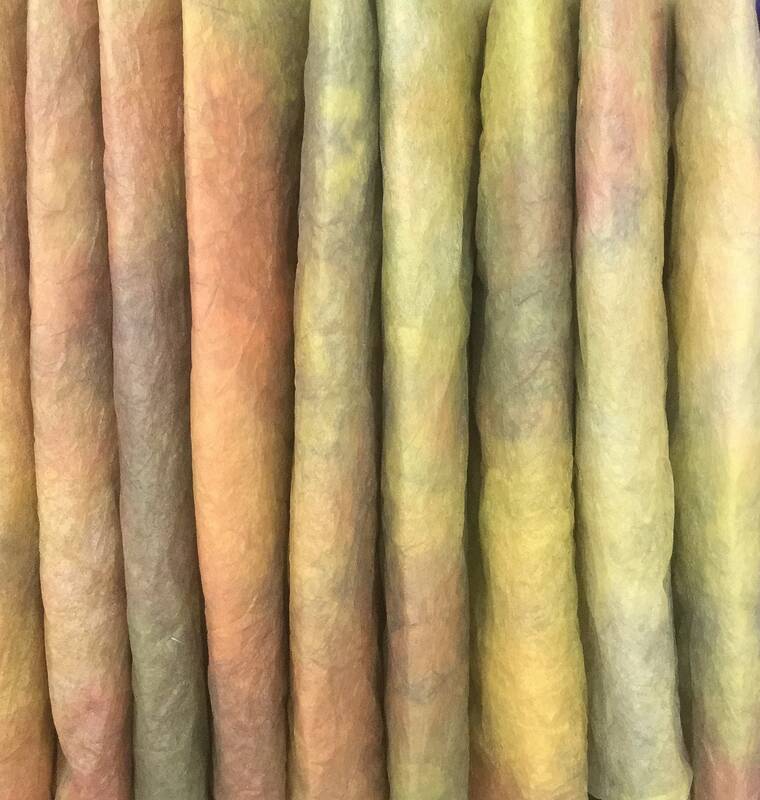 There are 10 sheets available - all were dyed together but each sheet is slightly different. 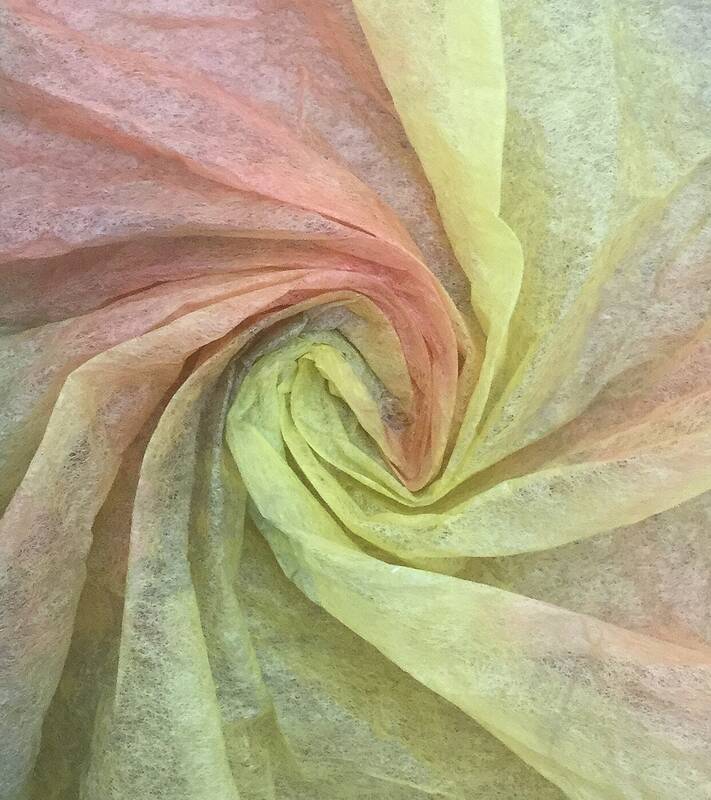 Abaca Tissue is a lightweight tissue paper, that looks like paper, but feels like fabric. It is made from the Abaca plant, a close relative of the Banana plant which has very long fibres and gives the paper extra strength. The abaca tissue has many uses because it has wet strength (unlike ordinary tissue paper which disintegrates in water.